According to the CDC, more than 53 million adults in the United States live with a disability. One in eight adults suffers from a mobility limitation, which includes serious difficulty walking or climbing stairs. With so many people facing limited mobility, it’s important to understand the ins and outs of mobility friendly homes. This article will help you understand everything you need to know about building, renovating, and living in mobility friendly homes, whether you’re a landlord, homeowner, or tenant. When we think of mobility issues, we need to realize this includes much more than just individuals who are wheelchair bound. There are other types of mobility-impairments as well. Some people aren’t wheelchair bound but simply have trouble walking. Some individuals may use the assistance of a cane, rollator or another type of device. While many people don’t typically think about blindness as a mobility issue, it is also a mobility impairment. Mobility issues can occur for many reasons, but is often a result of aging. Conditions in older adults such as muscle weakness, pain, joint problems, and neurological problems can all create and contribute to mobility problems. Blindness can occur in a person for many reasons and may have been present since birth or may have been developed over time, either as a result of a medical condition or as the consequence of an accident or injury. Legal blindness can vary from having a very poor peripheral vision to having trouble seeing objects at a distance, and in many instances may hinder a person’s ability to navigate the home. A common mobility issue, wheelchair users need special help to access a home correctly. According to the National Institutes of Health (NIH), 2.2 million people in the United States rely on a wheelchair for day-to-day tasks and mobility needs. This issue may require the addition of ramps and other mobility additions to the home, as well as wide, open floor plans. People with limited walking abilities can have trouble getting around a home that is not mobility-friendly. Individuals with limited walking ability may use a cane, rollator, or walker of some kind to get around. Limited walking abilities may be due aging, injuries, or any number of other health issues. Many significant changes may need to be done to an overall home layout to make sure it is mobility-friendly. Different mobility issues require different accommodations. 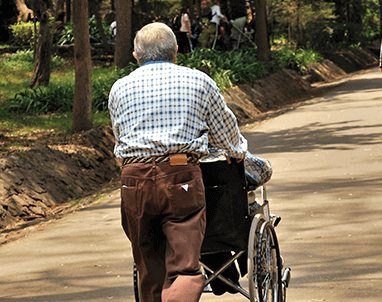 The yard and garden of a home may need some improvements for people with mobility issues. Raised beds that are 18-24 inches high are recommended. Standing planters and planters that are 30-36 inches tall are also an excellent solution for mobility-impaired people. Another important addition is to create stable and wide pathways that allow for easy and convenient wheelchair access. Building an accessiblle garden can be an excellent idea since gardening has shown to have therepeutic benefits, and helps to reduce stress and promote the overall health and wellness in a person. 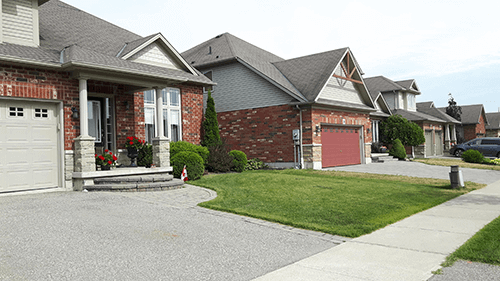 Driveways should be extra wide to allow for the access of mobility-impaired people and the potential room for wheelchair loading and unloading to vehicles. Entrance walkways to the home should be wide enough for wheelchair access. Walkways should also be connected and leveled to match any driveways of the home. You should also plan accordingly for the possibility of fire and other emergency situations. All of the common measures should be taken to ensure fire safety when building the home, but the home should be optimized for escape routes in case of emergency. All rooms of the home should have a quick escape route to the exits and entryways. A garage should also be optimized for access by mobility-impaired people. It is important that a home’s garage is wide enough to accommodate a lift or ramp equipped van, leaving ample room for loading and unloading of a wheelchair. 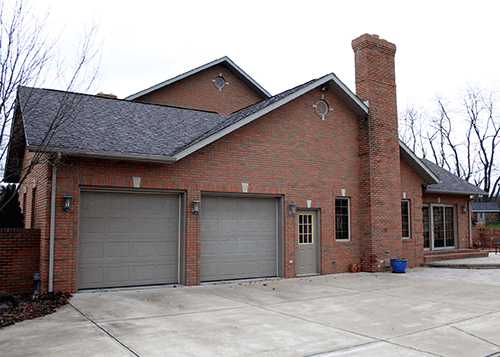 The doorway from the garage to the home should also be wide enough that a mobility impaired person can easily fit through without any difficulty. Stairways in multi-level homes can prove to be a tricky aspect to consider when aiming for accessibility. Wheelchair-bound people and other mobility impaired individuals can have a lot of trouble navigating a home with two stories or more, and those extra floors can easily become a burden. While it may be ideal for a mobility-impaired person to opt for a single level home instead, in other cases they may opt for special additions instead. In some cases, it may be good to build a ramp instead of stairs. In other situations, it may be appropriate to add a stair lift to the home as a solution. 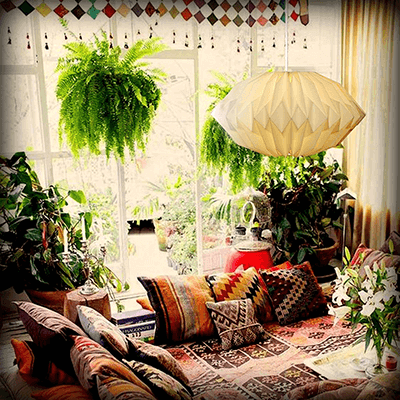 Each room can use some improvements in addition to the more general areas of the property. Simple or complex improvements can make these rooms fully accessible and comfortable for residents who are mobility-impaired. Excellent additions to a kitchen may include a low sink as well as low counters in which appliances can be easily accessed. Low cupboards can also be a great help in the kitchen. Wheelchair users would benefit from spacious and wide pathways in the kitchen, which will allow for easy maneuverability. Low power outlets may also be a helpful addition to wheelchair users. According to some wheelchair users, appliances that are too small and pathways that are too narrow can lead to a lot of discomfort and lack of accessibility in the kitchen. Improvements in the bathroom could include easy accessibility to the bath, shower, and sink areas. Mobility impaired people who don’t have adequate access to the bathroom are sometimes forced to use the kitchen sink to wash themselves. For accessibility, the bathroom should be as wide as possible to provide easy maneuverability for wheelchair users. A roll-in shower area is also ideal, while the shower area should have enough room to accommodate a wheelchair or other type of mobility device. Wheelchair users may require enough space for allowing the person to transfer from a wheelchair to a toilet. Grab bars in the bathroom can also be a big help for all mobility impaired people. A bedroom should have ample space for maneuverability as well. Easy access to closets, shelves, and storage space can also be a big help in this area of the home. A wide living room is ideal. Light switches should be easily reachable by any mobility disabled persons. It is an excellent idea to have all light switches in one place, including switches that enable table lamps and all other types of lighting in a room. A dining room should be broad and allow for easy access to the kitchen and other areas of the home. It is an excellent idea to connect the dining room with both the living room and kitchen through very wide doorways or an open floor plan. All other rooms of the home can benefit in some way from additions. Any widening that can be done to rooms or entryways can create a considerable improvement. It is also ideal to make sure that anything a person will need to access such as light switches and shelves are easily accessible. You should also pay attention to thresholds and levels in the home. Any levels that vary considerably should be changed through using a small ramp or another form of access. While you’ve learned the basics of making a home mobility friendly above, you may be asking yourself what the costs and regulations are to such improvements. Depending on the needs of the individual in the home and the extensiveness of the renovations, costs can vary greatly when it comes to optimizing a home for accessibility. A thorough remodeling of a bathroom or kitchen, for example, could cost $20,000 to $30,000. Smaller renovations can be considerably cheaper, however. Simple additions such as grab bars may cost between $100 to $300. Smaller threshold ramps may cost around $100, whereas larger ramps may cost up to $15,000. The cost of widening doorways, if possible can cost anywhere between $500-$1000. While the Americans with Disabilities Act of 1990 makes a lot of requirements for commercial and publicly accessed properties, the act does very little in determining requirements and regulations for private homes. However, the Fair Housing Act does say a bit about the issue of making a home more accessible. Unfortunately, single-family homes aren’t covered by the Americans with Disabilities Act or the Fair Housing Act. That means that many new single-family homes aren’t any more accessible than older homes. The 1988 Amendments to the Fair Housing Act did add some provisions for people with disabilities. People with disabilities are protected under the act in the same way as other individuals who are protected due to race, color, gender, religion, creed, and country of origin. While the act didn’t create regulations for single-family homes, there are requirements for multi-family buildings. Additionally, under the Fair Housing Act, if a previously built building did not already have an elevator, it is not required to install one. For buildings that don’t have an elevator, only the ground-floor units of the structure, as well as any public or common spaces, are required to be disabled-accessible. Are There Aid Programs or Funds to Help? Available to persons over the age of 65, Medicare will pay for some durable types of medical equipment including hospital beds, crutches, and wheelchairs. Unfortunately, Medicare doesn’t usually cover items such as grab bars or stair lifts. In some cases, homeowner’s insurance may help with renovations to the home for the mobility-impaired, but this can vary greatly. Many people turn to additional funding sources such as grants from federal and state organizations and private non-profit charities. Many funding programs exist for senior citizens, so seniors should contact their city or state housing department to see if any programs are offered to help with remodeling expenses. For those who live in a city with limited program offerings, we have created a separate guide just for you, Creating a Mobility Friendly City, Your Guide to Access and Advocacy in 2018, which contains tons of useful information on how to seed change in your city! People who have limited mobility because of a disability may also be able to get special assistance for modification costs by checking with relevant organizations. U.S. veterans are also eligible for similar types of financial assistance through the U.S. Department of Veterans Affairs. Some grants available may help to cover home modification expenses or loans for buying a home. When it comes to new builds, the most important thing that builders and owners should do is plan for future needs. A roll-in shower or wide doorways may not be necessary immediately, but later on, down the road, those home modifications may be exactly what is needed. Planning ahead is ideal, as this way designers can create the house knowing that there are future changes that are possible. Then, when the time comes to make the adjustments and modifications, the process won’t be nearly as complicated. Selling on the Property – Convert Back or Not? When it comes time to sell a home in which you have made home modifications, the question arises of whether the changes will affect the value of your home. In many cases, home modifications will negatively impact the resale value, but in other cases, it could positively impact the value. Many factors come into play when determining the value of the home. Some of these things include the home’s location, the demographics of potential buyers in the area, and to what extent the modifications have been made in your home. Do the changes affect or the functionality of the house for a non-disabled person? Some housing markets will have more desirability for a home with modifications. Regions or cities that have a larger elderly or retired population may appreciate the additions. While it may seem daunting to try to modify your home, there are agencies, associations, and groups that can help. Extensive modifications can be expensive, but smaller adjustments can also be incredibly useful in a home. By doing your research and talking to relevant organizations you can have the best chance possible at lowering or eliminating the costs of mobility related renovations and additions. While it may be a difficult task to make a home completely mobility friendly, every little bit goes a long way in helping mobility-impaired residents to live a comfortable and accessible life.